Life Journey is designed for a church or ministry website, but can also very easily be used for any other type of site. This style comes packed with goodies to help any church easily gain a web presence. Some of these feature include: dozens of block positions, custom page and column widths, custom row widths, custom highlight color, Google fonts, mobile device support, and so much more! Just uninstall your current version and head over to the club extension downloads area to grab a fresh copy. The Comaxium Wordpress Theme is built with style and functionality in mind. Its style can easily be adapted to just about any type of website you are running. With an amazing 35 widget positions and 6 styles it's functionality is superb and leaves you with hundreds of layout options to choose from! In addition to its great design there are other great features such as Google fonts enabled, fixed of fluid width body settings, custom column and page width settings, choose your own highlight color, and so much more! This month we have also added a new feature that allows you to a select widget style directly from the widget level. This option can be found when editing a widget from the appearance > widget menu. Make sure to check out the demo for a full list of features. For more information on the Comaxium Wordpress Theme click here . The Phosphorus phpBB style is a very versatile and gives a wide variety of options. 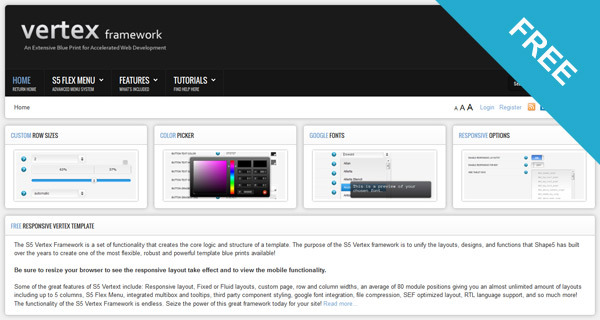 This month also introduces a new interface for the Vertex Framework and the ability to install modules! Vertex Framework for phpBB is truly turning the forum system into a CMS. The framework is becoming quite polished, this month we've also revamped the admin to give it a nice slick look. Check out the demo available to get an understanding of what you can do with Vertex and this style. The Vertex admin area is visible even when not logged in, just click the admin menu item in the top right of the menu and you will be able to demo it without saving changes. We are happy to announce the Phosphorus theme release! It is a very versatile theme that gives a wide variety of options. We have added some options to change the color scheme of Phosphorus to any you desire! Check out the 7 presets available to get an understanding of what you can do. This month we also slightly modified some of the WordPress link output to better match the theme itself. Also included is a new admin interface for the theme, giving you an easier experience when changing theme options. The Comaxium PhpBB3 style is built with style and functionality in mind. Its style can easily be adapted to just about any type of website you are running. With an amazing 35 block positions and 6 module styles it's functionality is superb and leaves you with hundreds of layout options to choose from! In addition to its great design there are other great features such as fixed of fluid width body settings, custom column and page width settings, choose your own highlight color, support for right to left languages, and so much more! Make sure to check out the demo for a full list of features. We are happy to publish a new member bonus page that gives all club members coupons and discounts on some top Joomla extensions and services! Currently the page is offering discounts on up to 11 different sites in the Joomla community. These discounts will come and go as they expire and we receive new ones so keep this in mind. Don't delay on purchasing that extension you've been thinking about and keep checking back every so often for new discounts! We hope this just adds that much more benefit to your Shape 5 club membership, enjoy! This month we are launching our Fusion template for Wordpress. The release of the Fusion Wordpress Theme brings you a modern design and layout with the option to choose 1 of six color presets! Be sure to browse through the entire demo to see all the features included! For more information on the Fusion Wordpress Theme click here . For more information on the Bridge of Hope PhpBB3 style click here. Intrigue is our latest free Joomla template release in honor of the release of Joomla 1.6! This template is fully compatible with native Joomla 1.6. It comes with great features that you wouldn't expect in a free template like a drop down suckerfish menu, custom column widths, custom page widths, fixed of fluid layout, and custom highlight and background colors; set the background bars to any color you want! Be sure to check out the demo for a live preview. For more information on the Intrigue Free Joomla Template click here.